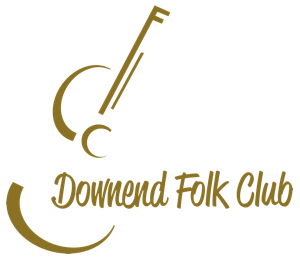 Downend Folk Club’s Summer programme kicks off this month with a visit from one of the most well-loved and respected figures of today’s contemporary roots and folk scene. During the past decade, JIM CAUSLEY has been nominated no less than six times for a BBC Radio 2 Folk Award; last year he was nominated as “Singer of the Year” at the 2017 BBC Radio 2 Folk Awards; won the Spiral Earth Singer of the Year award in 2014; presented his own folk music show on BBC Radio Devon; and in 2015 he worked with BBC TV historian Dr Sam Willis to create the music for his show 'Highwaymen, Outlaws and Villains' and was asked to perform his song about Dartmoor tin mining 'Pride of the Moor' on BBC TV's Countryfile - Dartmoor Special. Cornish filmmaker Jane Darke made a specially commissioned biographical film about the life of Charles Causley this year (2017) which aired on BBC4 TV on 1st October as part of the Centenary celebrations. The soundtrack to the film was composed entirely by Jim and featured music from his 2013 album ‘Cyprus Well’. A prolific collaborator, Jim is hugely admired for his work with iconic groups The Devil’s Interval and Mawkin:Causley as well as playing, touring and recording alongside Waterson:Carthy, John McCusker, Eddie Reader, Graham Coxson, Shirley Collins, Michael Morpurgo, Show of Hands, Kate Rusby, David Rotheray of Beautiful South fame and many more. He was described by Mojo Magazine as “the finest singer of his generation” and they put Forgotten Kingdom in their Top Ten Folk Albums of 2016 list. West Country father of folk Geoff Lakeman described Causley as possessing “A voice in a million” in a recent interview in the Western Morning News, some accolade indeed! Opening the evening’s entertainment will be singer/songwriter HANNAH WOOF. At only 18 years old, Hannah has already been played on BBC Radio 1, performed to sell out crowds and released an “Enthralling” debut EP Sleepless Nights. Growing up in Warwickshire, Hannah began writing and singing songs from an early age. As well as singing 60s and 70s classics, her own songs showed a maturity beyond her years. She took these songs into the retirement homes of the area to delight audiences, growing in confidence all the time. She is currently writing material for her next release, due in 2018, and gigging around the country to captivated audiences. Tickets for the event, which takes place at Frenchay Village Hall on Friday 21st September 2018, are available from MELANIE'S KITCHEN or online HERE. They are priced at £12 each in advance (£10 for members), or £14 on the door. There will be a full bar, stocking Severn Cider, soft drinks, wine, hot drinks and locally-brewed real ale from Hambrook-based GREAT WESTERN BREWING CO., and also locally-made NAUGHTY BROWNIES. There will be a raffle with prizes including CDs, gift boxes of beer and sweet treats. You are encouraged to bring your own glass/ mug/tankard/bucket, as well as reusable bottles for water, as part of the club’s drive to be more environmentally aware.